I am confident that without Sarah Black as our Realtor, our hosue would have been on the market for a much longer time! Sarah Black is aggressive and thinks out-of-the-box in order to get her clients the absolute best offer. Sarah is one of the most sincere people I have ever met or come in contact with. She is enthusiastic, energetic trustworthy, intelligent and an absolute pleasure to work with. I know that she has my best interest in mind at all times. Sarah is a 1st class Realtor! Sarah is one of the most honest, personable, and hardworking Realtors I have ever worked with. 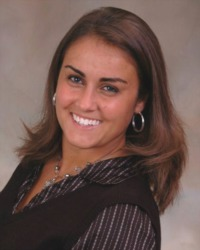 She asks questions and is always striving to gain the knowledge that it takes to sell your home. I was impressed with Sarah's level of availability and prompt follow-up on questions! Everything she did was completed quickly and thoroughly. If you're looking for a passionate Realtor with a positive attitude, Sarah is the one for you. She gives a 100% effort in everything she does. Sarah's enthusiastic manner and can-do attitude is a great asset to her helping clients fulfill their real estate needs.